ROAD TOWN, Tortola, VI – The frequency of layoffs in the Territory does not reflect the state of the economy, according to Premier Dr The Hon. D. Orlando Smith. Dr Smith said while there may be layoffs in one area, there may be people added to the workforce in other areas and other forms of activity. The Premier further indicated, that this was not a simple or easy question to answer. Several reports have emerged about pending layoffs at companies such as LIME, CIBC First Caribbean International Bank and FirstBank. There were also a number of layoffs reported a few months ago at CCT Global Communications. The Premier reiterated that the approximately 0.2% drop in the economy in 2012 was not significant but noted that statistics for the current year would not be available for some time in order to make a qualified statement on the economy. “Yes I understand that there have been some layoffs and we sympathize with the persons that have been laid off,” he stated. 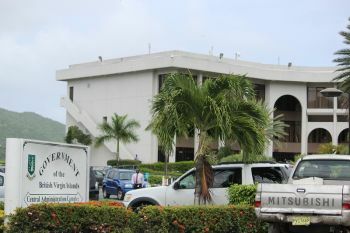 Premier Smith explained that this is the reason why government is pursuing developments such as the cruise pier, the airport and others in order to create new employment in the territory. He added that the National Business Burea is also a part of government’s efforts in this regard. 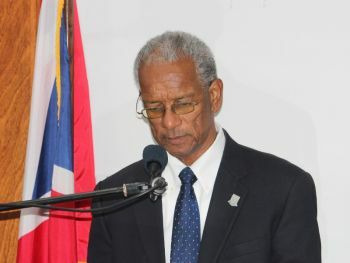 Dr Smith said he felt affected workers have found comfort in government’s intervention where there have been talks with companies that have pending layoffs or have already laid off workers. During this time, Premier Smith added, government must assist with and also try to foster growth in other areas so that employment could be offered in other areas as well. Premier you have lost your way in leading your administration. first of all you need to tell these companies when they are going to lay off the workers pl. give them their right severance pay and be honest with them.
" The Premier further indicated, that this was not a simple or easy question to answer. really Doc?! SMDH, I just don't know what to say; I am just speechless with this clouded type of thinking. Sure they trying but it is time for younger generation of progrssive thinkers to get this ball rolling. We can't take anymore 'ole time' way of doing things in this mdoern age. I am convinced this man is clueless to what is going on. I cant wait for Election 2015 out come the Doctor Smith n NDP n in goes anybody else. i have had it with NDP selfish attitudes. The Premier reiterated that the approximately 0.2% drop in the economy in 2012 was not significant but noted that statistics for the current year would not be available for some time in order to make a QUALIFIED STATEMENT on the economy!! OMG Tears! Dr. Smith, I am convinced that you are so out of touch with things. This is the modern times, there simply isn't enough work to go around. There will be less and less in the future. The man is right. The only 'local' company that laid off was CCT and they were bloated from the beginning. Long Bay is globally owned, LIME is globally owned, FCIB is globally owned, FirstBank is globally owned, TMF is globally owned. Name one real 'LOCAL' business that laid off anybody. People are making business decisions most of which are bigger than just BVI. All of these companies laid off across the entire Region, so that means all of their economies are in the pits as well? 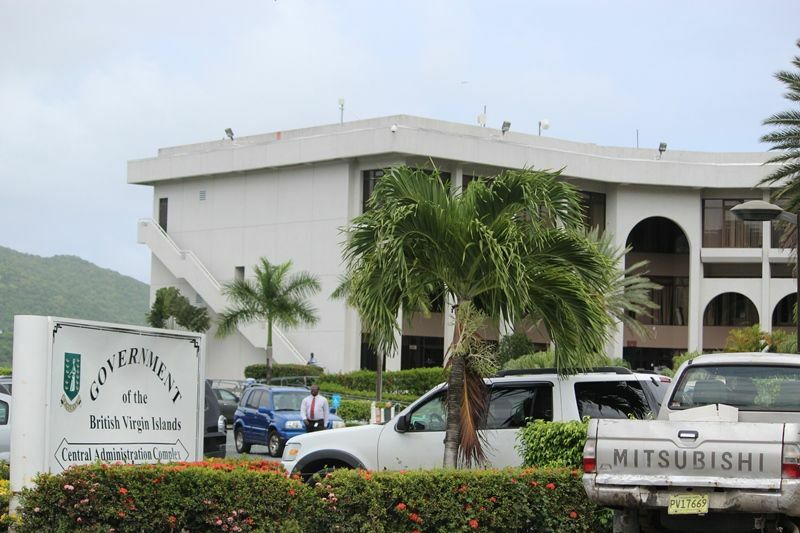 If it was just BVI offices laying off then I would see. The point is businesses have to change the way they do things. Government will soon have to lay off as well so you don't worry. They cannot sustain having so many people employed. I found over 120 jobs in the Beacon last week, many for new businesses or expanding businesses. The problem here isn't about the economy but rather people's limited understanding of how it works. BVI has been spoiled for so many years and convinced that everything revolved around us and we will always be on top. Now things are shaking up a little everybody is panicking and blaming the Govt. for everything. I must admit though that Doc and NDP just make $h!it worst with their stupid PR tactics. They should come out and be straight with people and stop chatting $%^&. The economy is not in the pits but to keep harping on robust without providing clarity only feeds the flame. All Doc had to tell people is we are going through a rough time right now because of global happenings and we need to hold tight and do the necesssary to get back on our feet. The BVI economy has a good future if things are done right and all is not lost. But for the love of Christ I don't know why NDP cannot put together a proper reasonable statement to the people without coming off as out of touch. If the Premier can get BVIEC costs down for small businesses especially he would be surprised to see real growth. That bill alone is killing many smaller businesses and even some big ones are feeling the pinch. That one cost has caused ALL prices to escalate in the country making it harder for the little man to survive. I know BVI will come back but the people need to push harder and snap out of the spoiled days as those days are DONE! Doc I advise you to just hush and do the people's work because what you're saying gives no comfort. You and your Ministers need to get on the same page. A good start would be to get respected individuals locally with knowledge of economics to come out and explain to people in details on the radio shows, talk shows etc. and that would give people comfort. Same with NHI and other stuff, people want to hear from qualified individuals not political appointees without a clue. The NDP will continue to dig its head in the sand and hope things getter because they won the elections telling people that the world wide economy had nothing to do with the finances of the territory at the time, they said it was all about mismanagement of funds. They promised the people that they had the magic fix. Now things have come back full circle and slap them in the face! Doc knows better but continue to play politics with peoples lives. Backside you are half-right. I wish Doc knew how to play politics. He needs to stick to his profession for he is no politician. He has no conviction and no backbone. The layoffs may be a result of global economic issues but the Government's performance has nothing to do with that. We don't expect miracles but the little projects they put forward they can't get anything done. They trying to appeas everyone with the latest example being the taxi drivers. Mark meet with them and they disrespect him and Claude, now guess what? Premier is meeting with them again. ALl for what, they have no solutions all they know is they want Government to ensure they make a lot of money. Why waste time with people who can't assist with getting the project going. You want the project just do the damn ting. Grow a dam backbone doc you are disappointing us big time with this foolishness. It's best if you get those two doctors down and get Myron and Ronnie to run the show. I know many will think I'm crazy but they can't do any worst and atleast they will push what they believe to be best for the country and not cower like a little girl like the Premier. Idiot how will you explain the 9 local businesses that closed...you NDP just mek the dog sick!! Which 9 local businesses closed? Most of the smaller ones that closed were bad management and would close regardless of which Government was in power. Being local and having a business doesn't guarantee success. Pickup a damn book and you all might learn a thing or two. Dr. Smith ain't ready messon. I won't be voting for him again. Is this dude going senile or something? My god....! I am embarrassed. This man has really lost it. He should no longer be leading for he has lost reality. We need to go back to the poll now before he sinks this territory. Something is wrong with him. His bread is buttered and he can travel on tax payers money. Can people be so cold in a God fearing society? The premier is allowing the boat to sink. Premier will never admit there is an uncontrolled leak in his ship. He is trying to maintain a positive attitude while the ship is slowly sinking. He reasons, it’s not necessarily water that is flooding ship; soon winter will arrive and a deep freeze will occur to stop the leak. this N.D.P. administration has leaders for they are all a set of selfish people. What we need is policies maker like what fahie & fraser is doing. what the N.D.P. needs to do right about now is leave office before it's too late and the country doom because of political gain. Help!Help! By way of this statement we NEED ano election. This Premier is blind so he can longer lead. Really!! Dr Smith, i lost faith in you. Wow really when CCT works got laid off and other places the government did nothing..........right ooh my bad that was they friends and them selfs in that hole thing......right. Only after they came out talking about helping LIME.......really wow. I wonder how well did that go? This is a clear indication of what going on here but lord forgive them. We can no long seek any justice from labour or government some of theses people have kids to feed and bills to pay or loans , rent houses or apt and the people they renting from are evil as well. They don't care where you get the money from or what you do to get it. They do stuff to force you out with your families but you guys don't care right cause everything is good with you. The funniest thing some of theses people called them selfs Christians. I want to know how you people sleep at night. You call them for help they blast you on Facebook about your texting or they sit amount other people saying that we the people that needs help like to much money or they don't return calls. As leader you guys could of done better with this country it has no balance. And there are jobs out there but for those who can help in department refuse to help people and hide behind walls and turn there backs on people. I pray all the time for this island and the people in it change will come and he sees everything and knows everything. The power was give to you but instead you to the people for granted and ignore them. Learn to be honest with the people they can make you and also break you. Some of you can go anywhere else to live with this bull you doing. You where placed there to help not betray. People when you can help someone help you never know when it's going to be your time no matter how much money you have or things. I place all things in his hands and he will stand for his people remember that. Do unto others as you have them do unto you and my god have mercy on you all souls. God you are not like man and I'm thankful for that. Dr. Smith is starting to remind me of George H. W Bush. I cannot believe the statements being made. Come on now, Doc. Is this suicide or what?. I suspect that you do not want to be re-elected! Is it suicide or s------e? Thank you VINO, i wish our country did have a caring govt. that could created an atmosphere where we could live work and raised our family, instead of making our life a living hell.